Ryan Jensen hates flies. Most flying insects actually. But especially flies. It is a loathing that is fueled by childhood fears, including among other things a recurring waking nightmare. I’m going old school for the next month and a half. Back before blogging, back before Facebook, and back before Twitter, we had only email. Okay, I realize I could go further back (because I’m old enough to still remember pre-internet days. 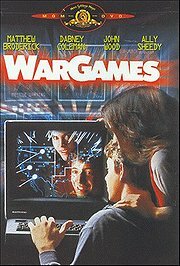 Remember how cool the computer voice in ‘War Games’ was? ), but for the purpose of this little sabbatical I’m taking, I will still be utilizing the internet for email. I’m not going into the dark ages for hell’s sake. As I mentioned last week, my son was just born. Let me tell you the first lesson I’ve learned. While having a kid is one thing, having two kids is not just two things (especially when the other is a toddler). It’s having everything going on almost all the time. Needless to say, there have been some rearrangements made to my schedule. In addition, I start back teaching in a week and a half. Haven’t really started prepping for the two new units I’m supposed to teach this year. The garden we grow to maintain water rights as well as for food is smaller this year, but it’s still probably 3000 square feet. 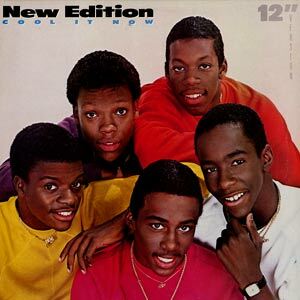 And in addition to the new addition (I’m also old enough to remember New Addition. I didn’t necessarily like them, but I remember), I need to make sure I also give plenty of time and love to my wife and daughter. Is it obvious that I might’ve lost my mind from sleep deprivation? Ergo, this post and this decision. I’m going to need a little time to figure out where to fit my writing in and how this whole new life is going to work (not that a month and a half will necessarily provide me all the answers for the latter, but it should help for the former). One thing I already know is that I’m spending too much time with my friends (read: fellow writers and bloggers). But damn, it’s good to have a community. But I also heard recently that writers need to be good at being alone. So I need to pull the plug for a little while and get back to work in the limited time with which I’ll have to work. It started with the idea of pulling back from the blogging world. Honestly, I don’t blog for therapy. I do it with an audience in mind. And when it comes to most of my readers (or at least my commenters), I know they have their own blogs, and I feel like it’s kind of a share-and-share-alike situation. If I don’t have the time to be reading their blogs, why should I expect anyone to read mine? So I’m saving (and banking) some future blog topics for when I can be a better participant in the conversations in general. Facebook followed. This will be tricky as well, as here are the people I’ve known for much longer. But again, I’ll still be using email. And honestly, if I have to see one more bit of political propaganda, I’m going to freak out. Twitter was pretty easy. I’m still trying to find the love there. Anyway, I’ll be back. My birthday is September 12th (feel free to send money in lieu of gifts), and the plan is to return to my blog on Friday the 14th (would’ve been cool if it happened to be the 13th. Oh well). While I’m gone, if you’re looking for other good writer/bloggers, go into my comments for previous posts and you’ll see the same names popping up time and again with great comments. Most of them are other writers and bloggers and worth your time. There are plenty more whom I try to follow on a regular basis, but it’s too long of a list (and I don’t want to offend anyone I might miss). I see great things on the horizon. I just need to do a little scrabbling to get a little better vantage point of that horizon. Also, I hope you check out Flies on His Mind. It’s only 99 cents. Otherwise, don’t go too far. I’ll expect to see you back in September. If you’re not already, it would help if you were subscribed to this blog so you know when I’ve returned (it’s easy to lose track of people in the blogosphere if you don’t hear from them for awhile). Little surprise that you’d be one of the first people I’d hear from, Jimmy. Yours is definitely a blog that I feel like I’ve neglected. Thanks for the kind words. We’ll talk soon. Sounds like a good decision. Good luck, my friend. Thanks, Mac. Yours is another blog that I try to frequent. Some very interesting stuff you put up over there. Look forward to catching up in September. Thanks again for stopping by. Talk soon. Of course, I understand the need to prioritize and find a new balance for your life as it changes. I wish you the best of luck with everything. I also hope that you’ll share with us the results of taking time away from the internet and how that impacted your overall writing output and/or creativity. Thanks, Aniko. I’m so pleased to have met you, and I always enjoy your blog posts, too. I’ll have to check out Bobby Bones Friday Morning Dance Party… when I get back 🙂 Glad I made it up there in your Friday routine. The dance party is one of those wonderful-terrible pleasures. Basically, the radio host plays snippets of dance songs, and tries to blend them together like a real DJ, but he doesn’t have the proper equipment (or chooses not to use it for effect). It’s a fun way to cruise to work on a Friday. Facebook, boo! I never visit anyone’s Wall or sync feeds to my phone because I found it overwhelming, boring, and a waste of my time. I find Twitter to be better, but only when I am very particular about who I follow. I do a mass unfollow every few months or so, whenever I find my stream littered with people I spoke to once or people who post a lot of cruft I don’t find interesting. I do like our #TESSpecFic facebook page but, again, that’s another place where access to the world has been winnowed down to a select group of people. Talk to you in September!! Clear your head. Find your center. Facebook is mostly nonsense and Twitter is pretty much a rolling billboard. I’m on both (as you know) but I find them to be no more than necessary evils, and I’m not even sure about the ‘necessary’ part. Anyway, take care of yourself and your family! Thanks, my friend. A rolling billboard, eh? Yeah, it does seem that way, but you’re right, “they” keep saying it’s a necessary evil (I’m sure “they” is whoever is in charge of Twitter. Who is in charge of Twitter, anyway?) However, I’ve said it before, and I’ll say it again. I was glad to have met you through Twitter. So it’s not all bad. Thanks, Lisa. I appreciate it. And for anyone out there reading these comments, if you’re looking for a blog chock full of horror writing, Lisa is prolific. Best of luck to you, Paul, and I look forward to your return. Enjoy this time. I know it’s crazy to deal with a baby and a toddler (my girls were 4 and 2 when my son was born) but it passes too soon. God bless. And I’m sure you’re right that it will pass too soon… just maybe not these first couple months. Then I’m sure I’ll want it to all slow down. It may seem like the early mornings and midnight feedings will last forever, but they don’t stay babies for long. ENJOY! The blogging world will be here when you get back. Thank, my TESSpecFic friend. Always a pleasure to be in league with you, and I will look forward to rejoining forces when I return. Congrats on your boy! As I had said before your blog was the first blog I checked out and has since been very informative to me. Can’t wait to hear from ya again when you get back! Thanks, Matthew. And yeah, I feel kind of bad that I’m hopping out of the loop just when you’ve joined in, but I’ve seen you at some other blogs and it seems like you are finding more good people out there. Keep fighting the good fight, my friend, and look forward to reconnecting when I return. Glad to see you’re ‘unplugging’ yourself for a while. Even if you didn’t have so much on your plate, it’s invigorating to step away for a while and just relax. 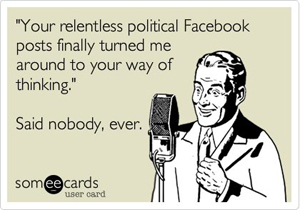 You don;t realize how much of your time is taken up with social media madness until you step back for a bit. Enjoy the kids, get ready for school, and savor the dying moments of summer! Thanks, Hunter. I know you understand perspective and where to place focus. I appreciate your kind words and as always, hope things are going well for you and the writing. Congratulations on joining the two-kid household world… Granted, mine are step-kids, here half the time, and 10 & 12, but I still hear you on the time thing – and given that, I can only imagine what it’s like when they’re wee little ones!! I’ll definitely put a story on the backburner for the ghost-in-the-machine story. I can envision a real battle between myself and the computer. A very smart decision, my friend. I have to do this sometimes for a week or two at a time, and I don’t have two kids running around. I can only imagine how hectic things are for you. We can stay in touch in the ways that matter, and I look forward to seeing you on the other side. Thanks for the support, Jonathan. Yeah, things are pretty hectic, and are probably about to get crazier. And we’ll definitely keep in touch via email. Hope things are going well for you. Talk to you soon, I’m sure. I hear you Paul. My wife just gave birth to our 4th child, and now we have 4 kids aged 5 and under at home. It can be crazy at times. The internet is I find more often than not a distraction, and removing it certainly frees up a lot of time. Time I never before realized I was actually spending online. I always found that it took a few weeks (maybe a month) after the birth of a child before a real routine can be devised. Right now, I just write whenever i have a spare moment, but it is not always conducive to productive writing. Have a nice break, enjoy the time with your family and when you return, you will undoubtedly feel refreshed. Thanks so much for your kind/commiserating comments 🙂 Congrats on your fourth. You are a braver man than I. Funny that I just got this comment today as I am getting ready to put up my “coming back” post. It’s kind of a tough call, but I’m glad I took the time off. Definitely prioritized some things for me and hopefully created some boundaries which I can keep up.